London Riots, that destroyed London for over a week has become a common term in every person’s thought. Looting, Destroying, Fighting that embraced the Riot hit streets of London has perhaps became the dark chapter in David Cameron reign as PM. In his defense, British PM Cameron vowed to correct the decaying society by turning his attention towards Social Networking which in reality did assist rioters to be in touch with each other. Cameron asked Home Secretary Theresa to find out a way to see the Social networking role in the riots. Some rumors also broke out, Britain is opting to kill services like twitter, facebook. 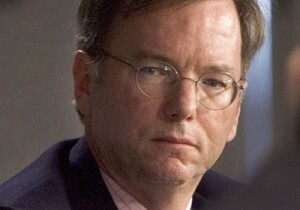 In an interview to Telegraph, Google’s Chairman Eric Schmidt said, “It’s a mistake to look in the mirror and decide to break the mirror. The fact of the matter is whatever the problem was … whatever the underlying problem was, the internet is a reflection of that problem but turning on and off the internet is not going to fix it. Lol! I believe British PM will have hard time on his decision over social networking sites as Giant Google has now come in to support the Internet. Wonder, what will be the reaction of the PM, given the stage People are highly dependable on Social Networking to stay connected these days. Previous: What is Celiac Disease?